For some strange reason I love taking pictures of food. 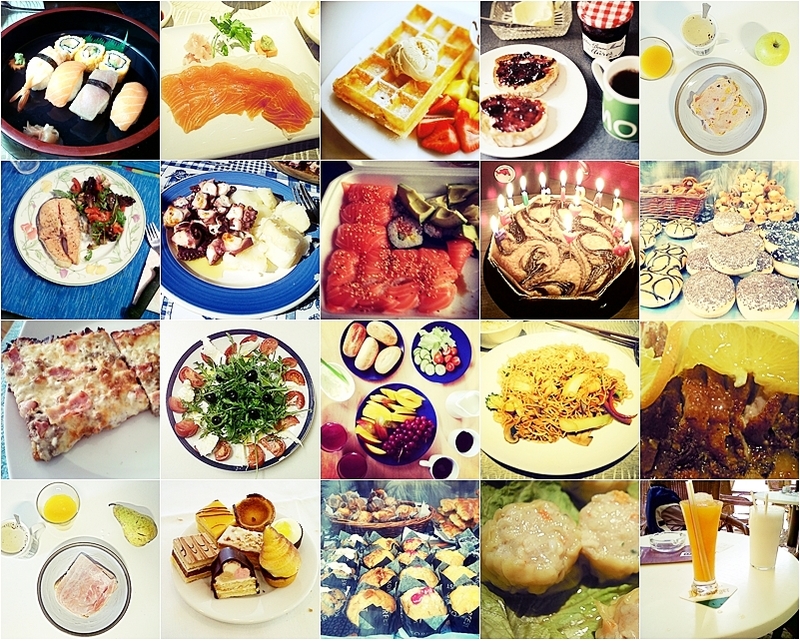 Most of these pics are mine(not all)and here you can find a lot of things from, shussi, pizza, salads, galician octopus, to delicious muffins and cakes, yummy, right? I drool for all these delicacies. I love taking photos of sweets for some reason...there's just something about ice cream, cakes, and cupcakes. Okay...now I'm seriously starting to feel hungry at the sight of all these yummy eats! In the mood for Italian! jajajaja, a mi tb me encanta hacer fotos de comida, en mi casa siempre me regañaban porque decía que cualquiera diría que soy una muerta de hambre. Un besazo.